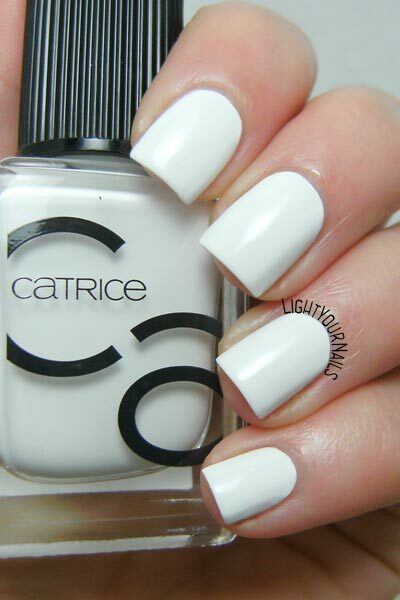 Catrice ICONails 15 Milky Bay | Light Your Nails! Today I am showing you another shade from the new Catrice #ICONails nail polish range, which is slowly replacing the older Ultimate Nail Lacquer range. 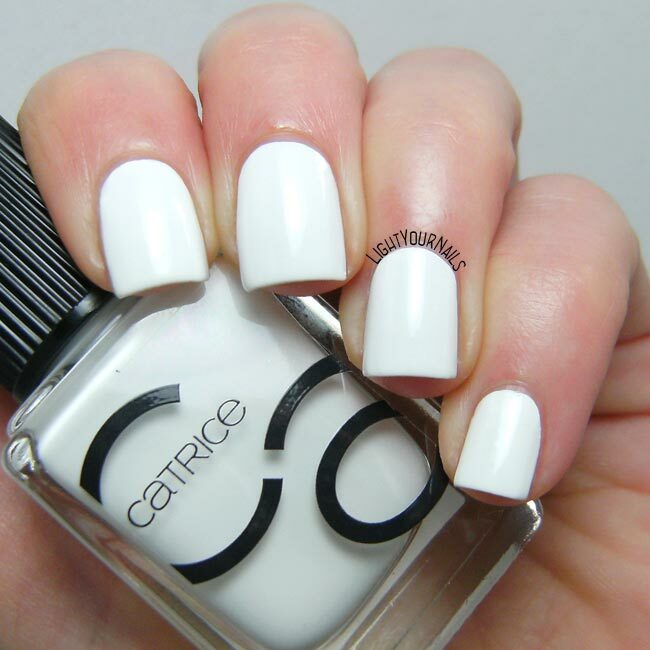 Catrice Milky Bay (n. 15) is a milky white creme, as the name suggests. It’s actually a pure white shade, the milky part refers to its consistency, which is milkish i.e. translucent. Does that make any sense? Because of that feature coverage is poor and you need 3 coats for complete opacity. Drying time is slow, too, so you definitely need a top coat or a spray to help. Application is incredibly easy though, especially considering it’s a white creme, which is usually a hard colour to work with. Shame the 3 coats, if it were a two coater it would make a perfect white base for nail arts or neons. Have you already seen the new Catrice ICONails range in store? Any purchase? And what’s your go-to white creme? Ancora non l'ho mai vista questa nuova collezione di smalti, spero di rimediare al più presto! Questo colore è bellissimo, anche come base per nail art, peccato che asciuga lentamente e ci vogliono tre passate... comunque mi piace, se lo trovo, lo prendo! Davvero è così difficile da trovare lo Snow Me White? Io l'ho trovato subito e per ora non mi serve un backup quindi non ci ho mai fatto caso! That's true! I think it's due to the watery formula. I have been looking for a good white cream. I need this!! This is a very good one, shame for the three coats. Too bad about the opacity but if it's translucent, maybe you could do a jelly sandwich with it? I guess it would work for that, but I've never been a fan of jelly sandwiches. Right now I'm using Whitewater by pipe dreams and White Undies by Jior Couture. I wished indies were cheaper for us overseas! I'll have to stick to mainstreams. It's so perfect looks wise, too bad it takes so many coats! 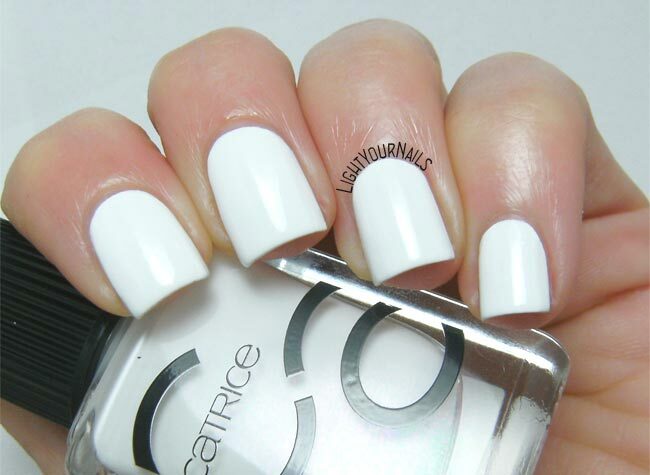 Aww man, it's so frustrating that it's so hard to find a decent white polish! I like that white! Neat and clean. This is a nice, smooth white! I so wish this had been a two-coater. Having to do more than two just ends up frustrating me, especially from a white that I would like to use as an undie. I feel exactly like that Kiersten! Ahhh... if only it had been opaque in two... but it looks beautiful nonetheless! Too bad about coverage and drying time, but the end result is really nice. Thank you Vedrana! The final look is so pretty, but I just can't do 3 coats for a base!